Note: I’m travelling this week so I may be a little slow in getting around to everyone’s posts. Remember, if your post is on our link-up list it gets visited first and I retweet it as well. So please, make it easier for me and everyone else to find you: click on the blue froggie button below and add your post to our link-up list. 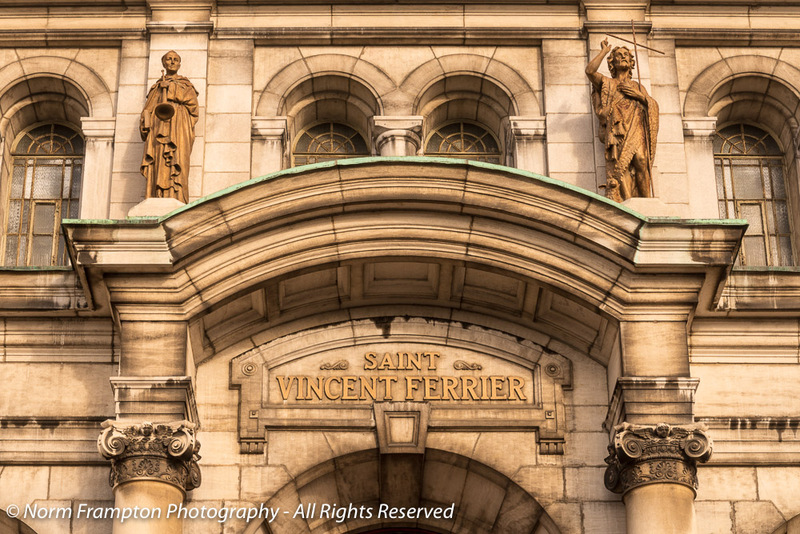 Found on Jarry St. E. in the city’s north end borough of Villeray, Église Saint-Vincent Ferrier was built in 1930-31. Despite the fact that it’s one of the largest Catholic churches in this part of the city, I had a difficult time finding out much about this place. 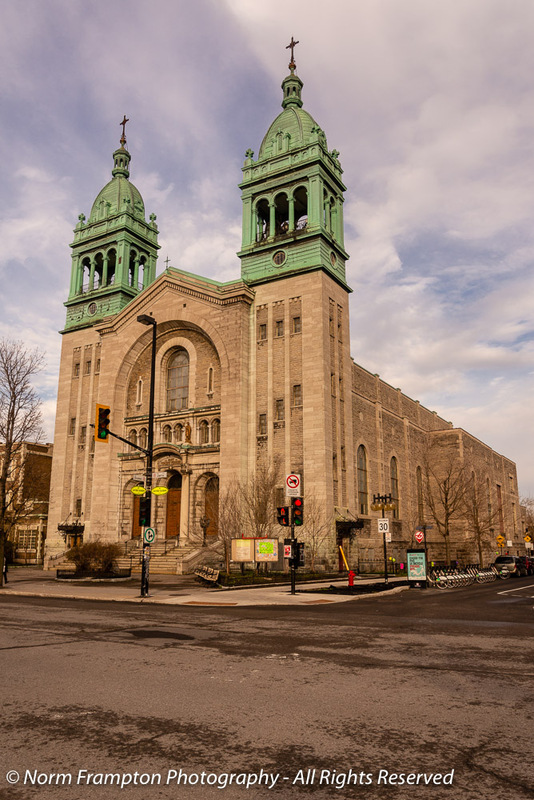 Designed by local French Canadian architect Ludger Lemieux, who also designed the city’s famous Atwater Market, the church exterior is built from locally quarried stone. I’ve driven past this building hundreds of times over the years but this was the first time I actually made of point of stopping to properly check the place out with my full 360-degree walk-around. Sadly you can tell you’re in a densely populated urban setting whenever you see wire/metal grilles protecting ground-level side doors and windows. And the connected residences next door. As you saw in one of the first shots the main entrance doors are simple yet quite majestic, especially in early morning light. 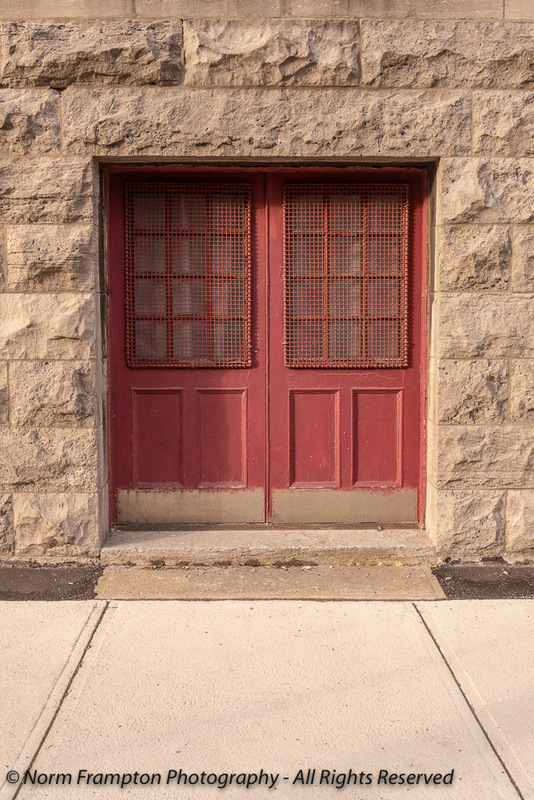 And here’s a bonus door/teaser for an upcoming post of residential doors in the same neighbourhood. Nothing is more uniquely a Montréal architectural feature than our crazy outdoor winding spiral staircases. 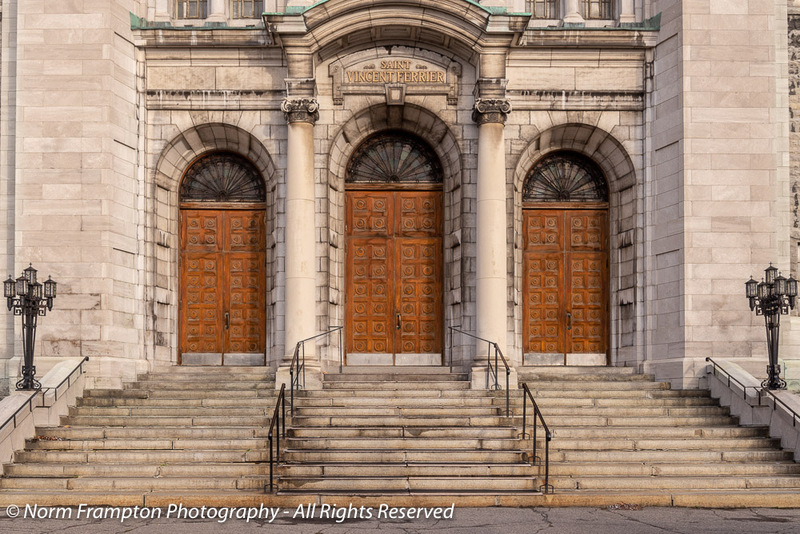 Gallery | This entry was posted in Photography, Thursday Doors and tagged Architecture, Canada, Church, Doors, Eglise, Montreal, Québec, Thursday Doors, Villeray. Bookmark the permalink. 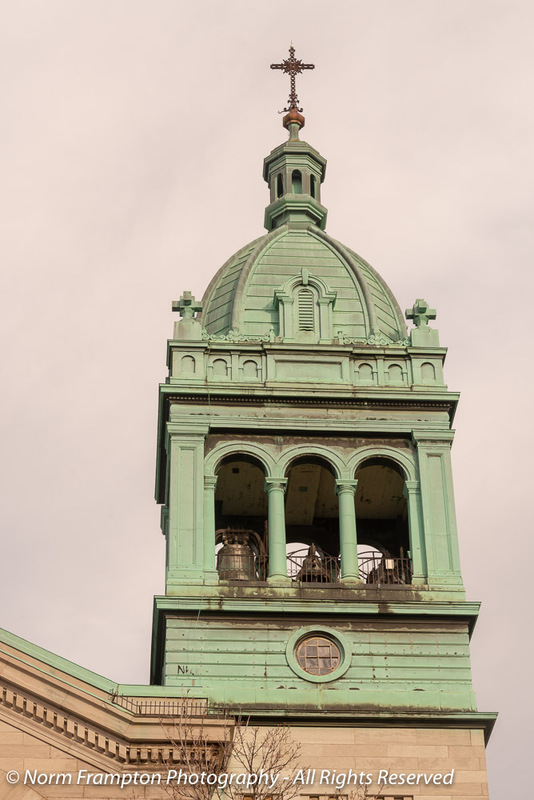 Norm, I liked the white spiral staircase, the green part of the Catholic Church dome tower and the arched wooden set of doors. The inlaid quality of the glass pieces in one of your photos was on my mind, too. Green patina bell towers, carved doors, iron work above doors, and wonderful, and unique staircases to gain entry to doors…I LOVE them all! beautiful church and doors. Love the staircase. Arches! Brick and stonework! And, oh, I do so love those ironwork staircases. I sure would hate to carry a heavy package up one, especially on ice, but they’re lovely to look at. 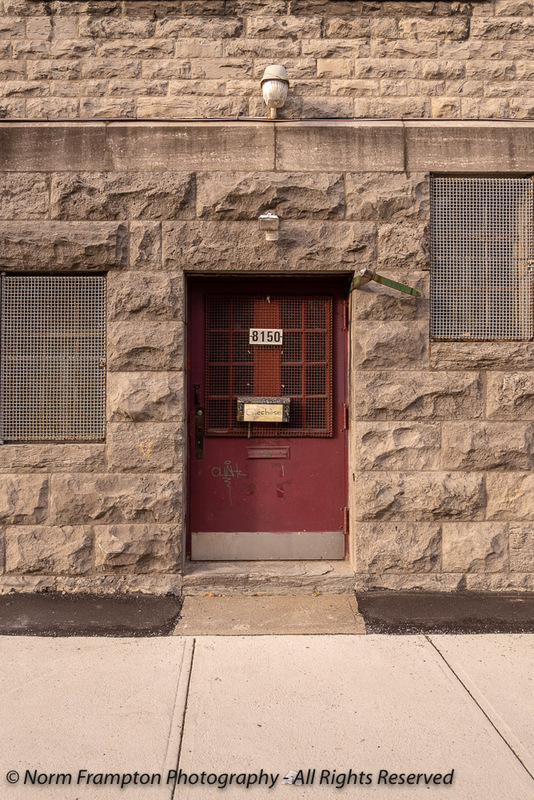 An art installation…or maybe a prison, right? I’m sure there was a fair amount of vandalism over the years and plain metal doors and steel grating ended up being the simplest solution. Great doors! And those spiral cases are fantastic (as long as I don’t have to use them)! That’s unusual isn’t it, a white winding staircase? Aren’t they usually black? You know what? You’re right, they generally are black – or some other dark colour; but rarely white. Maybe that’s why this one jumped out at me the second I saw it. Great selection! The green domes stand out on the church, as do the majestic doors. The ornate white staircase made me smile. Good mercy. That third shot is grand. The lettering alone is remarkable, but the layers of details as well. Wow. 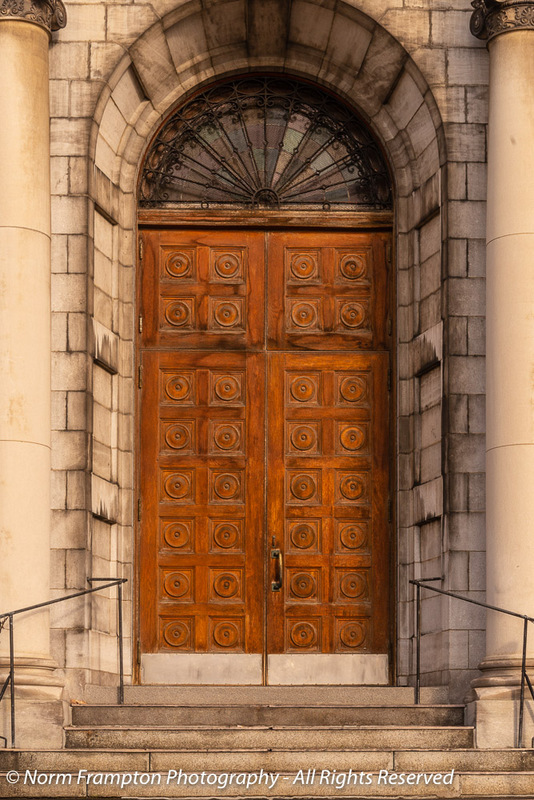 Really love the entire front — the circles and the arches and the iron and the colored glass all set in that stone. The back is interesting on its own, and I like 8150’s texture. Fab feature for today. That spiral staircase is amazing… and clever. Fabulous doors and facades. That Padre’s digs are pretty nice! Beautiful church, but wonder why the towers are green (copper maybe?). The decorative stone of the connected building gives it a definite distinction. I like it! The doors of the door and balcony door but the spiral staircase remind me of Europe – they have different numbers, so I guess that means 2 different houses!. Hope you’re having an easy time when traveling for work! Yes it’s copper. It turns green after a time when exposed to the air, rain, snow…etc. The usually format for these places is one large residence with 3-4 bedrooms downstairs and 2 smaller apartments with 1-2 bedrooms each on the upper level. Interesting house setup – a new thing for me. 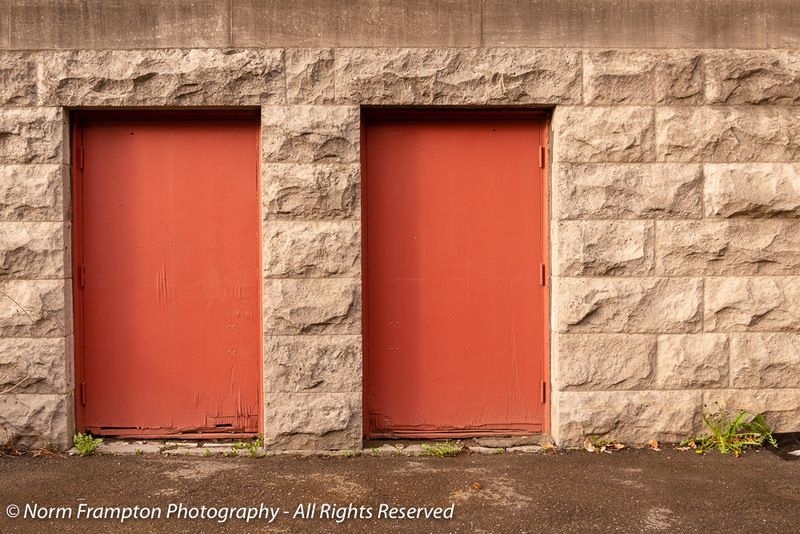 Fabulous doors and great photos. Reminds me of my, too brief, visit to Montreal some years ago. All the doors look a little down on their luck, like they’re a day late and a dollar short. The spiral staircase is unique. Truly. Such solid architecture – wow. I do love the spiral staircase but I don’t think I’d like to have to tote groceries up those stairs. I demand a spiral staircase from my second floor to the ground floor, stat. I’m soooo going to loves me some Canada. There are several neighbourhoods here where you’ll find plenty of those staircases. Have you given any thought yet to when you might be visiting? Great selection, as usual, Norm. 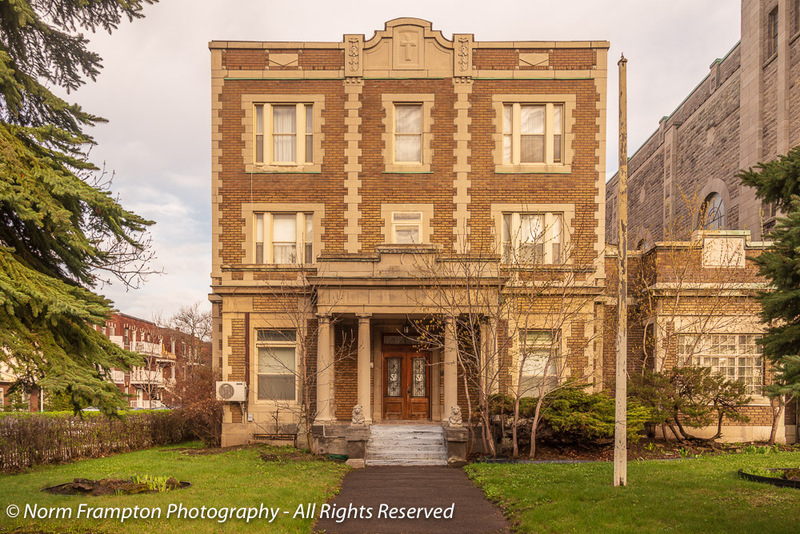 The rectory looks like Dr Hannibal Lector’s house in the series “Hannibal”. Wonderful doors and great photos, Norm. I love the photos you included that highlight the architectural details. I like the big doors, the arched doors the wooden doors with glass panes but the staircase and balcony in the last photo puts that photo at the top, today. What a gorgeous church. I love the contrast of colors. Thanks Carrie. It was the perfect time of day to get subdued golden light. I adooor all the doors! By the way, it looks like the WordPress spam filter is still eating my comments on your blog. To release me from spam prison just go to the “comments” section of the “admin” dashboard in WordPress and check in either “pending” or “spam” – I’m sure you’re going to find several of my comments in there. Cheers! I really liked that common (narrow) stairway for 8162 and 8164! Nice one Norm. Love the golden hour door. This style of bell tower on a church always grabs my attention and especially the double towers with the crosses on top. To me, this is quintessential French Roman Catholic. In the small town I grew up in, we had only 1 bell tower and the church was VERY modest compared to this one. This building is so deeply ingrained in my memory, I wish I had photos – especially of the interior. It was eventually torn down and rebuilt as a modern 70s style building. It is too bad about the need for all the metal grating though. It does detract from the overall look. It is too bad about the grating but kind of understandable in the city. Yes this style of church tells you right away that you’re in french Canada. I’m always impressed by the stone churches in Canada! Such gradeur! 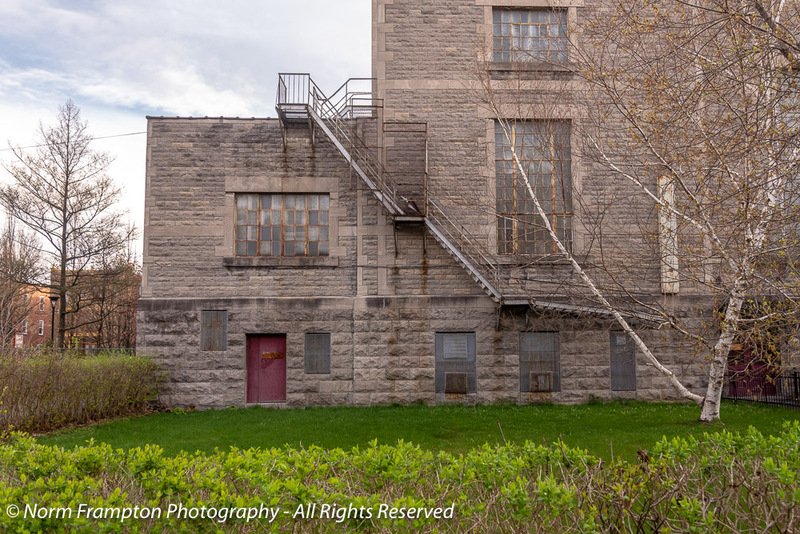 Growing up in Montreal we had one of those staircases to the back garden and I hated having to go down it. Eventually the fire marshall said it had to be replaced. 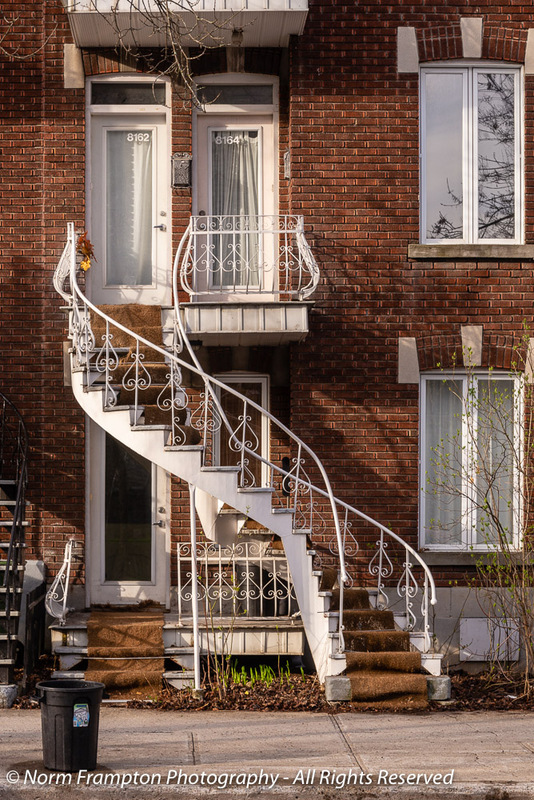 I love the outdoor spiral staircases in Montreal. It gives so much character to a building. The pingback worked but it had to be approved by me first since it was your first post. The best place for your link is on the link-up list and I see that you figured that out already – cheers! 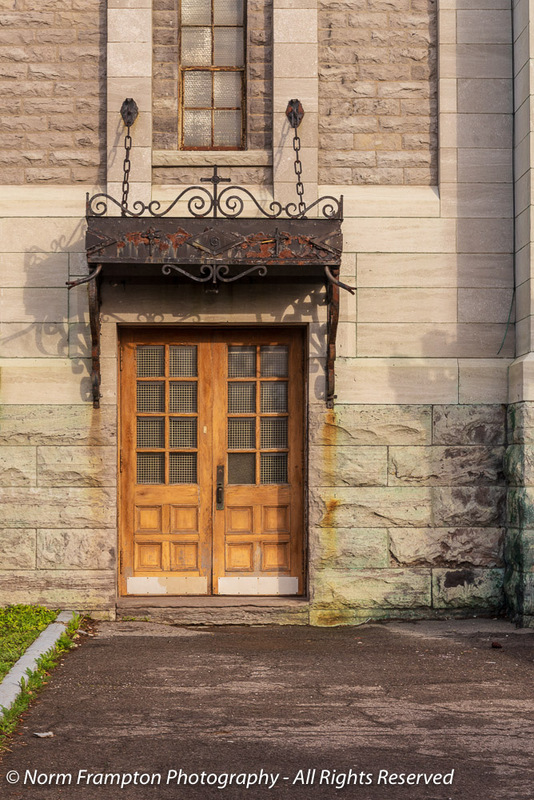 I rather like the simpler doors with the more elaborate church and I love the stone. Those winding staircases are quite something but I imagine they could be a bit slippery in winter! I’m in a French mode today as well. Some interesting doors there, but the rather ugly doors with amazing spiral staircase at the end there really caught the eye. Oh, yes, majestic is right. Also good with all the crazy spirals, bring them on! I can’t believe the back of that gorgeous building is so ugly. I love the spiral staircase, we’re looking for a second-hand one for our house, but indoors. Wow, love the ones with the spiral staircase. Some beauties this week!